Bessie's Best Mommy's Nest is available for moms to breastfeed or breastpump at the Pennsylvania Farm Show Complex from January 9th - 16th, 2016. 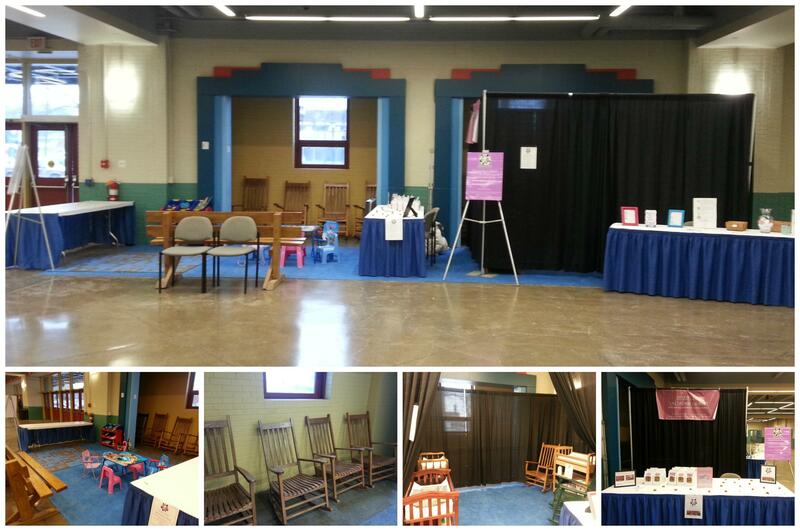 The Mommy's Nest is set up on the Second Floor Maclay Street Lobby. Moms can take the elevator or stairs to the second floor. The Mommy's Nest is in the large lobby as soon as you exit the elevator or stairwell. Bessie's Best Lactation Cookies is hosting the Mommy's Nest and is providing all nursing moms a comfy space with changing tables, rocking chair and a small play area. They are providing wristbands parents can write their information on and put on their child just in case they happen to get separated at the Pennsylvania Farm Show.